The web site Blackball.UK, as you may have guessed, publishes information and news about the cue sport of blackball pool as played throughout the length and breadth of the United Kingdom. This particular page was created simply to summarise content and facilitate Google indexing. The site itself was created using Google Blogger. This has certain limitations but also a number of useful features which are considered below. Firstly, more about this web site. The easiest way to look at content is to structure the overview in a way which mirrors the order of the menu selections just below the main heading. 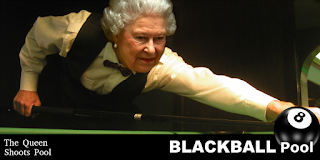 The 'Home' page of www.blackball.uk overviews the sport by briefly commenting on the history, rules, equipment and governing bodies of blackball pool. 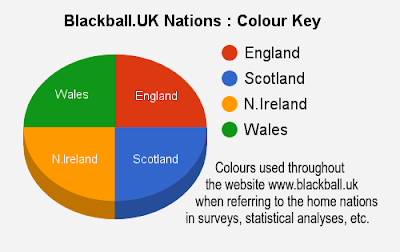 Throughout this site the priority is upon promoting blackball in England, Scotland, Northern Ireland and Wales. At the foot of all articles you'll find there's an opportunity for readers to add their comments. 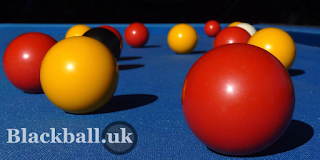 Select 'Blackball' from the menu for a series of articles about blackball pool including guidance on the rules of the game. Expand articles by clicking on the heading or selecting the 'Read More' option. 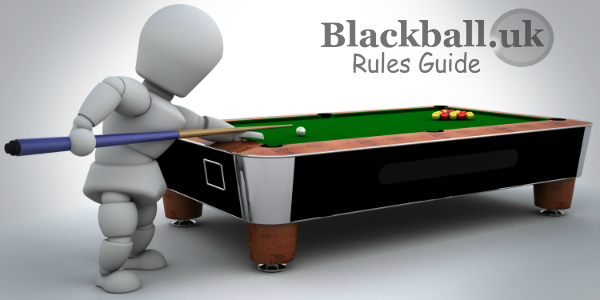 Information is to be found about blackball pool rules, purchasing blackball rule sheets, the unification of 8ball pool and more. 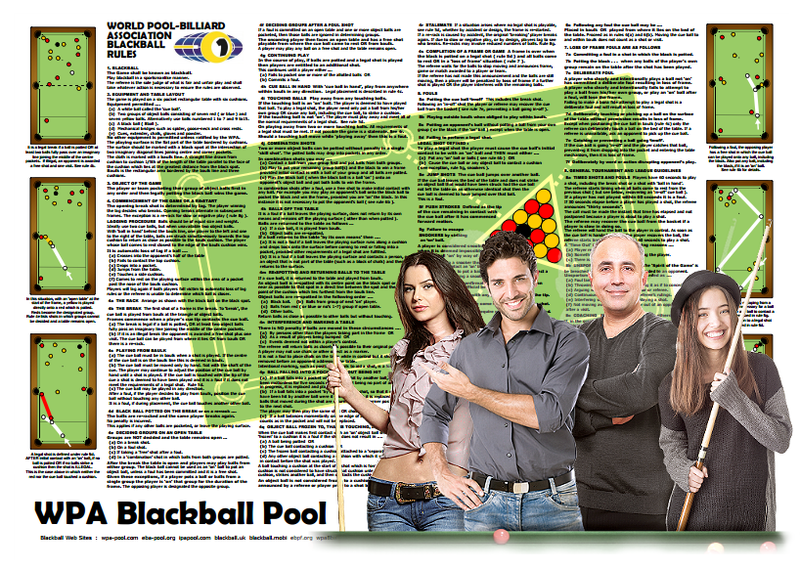 In the 'Blackball' section the articles are of a more general nature. As explained below there's specific information about blackball in the home nations of the UK when those menu options are selected. 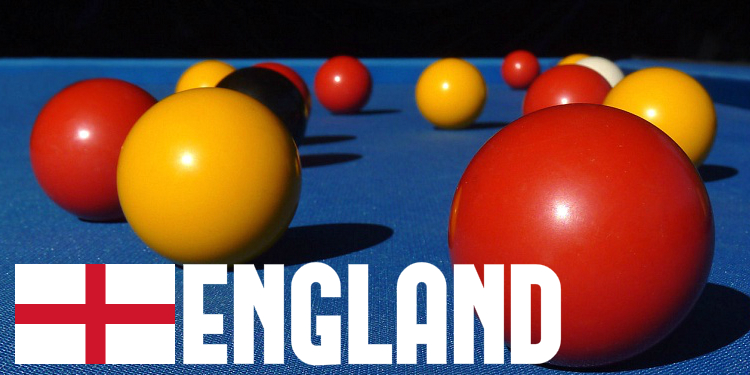 This is about blackball pool in England. On selecting this from the main menu there's an overview of English 8ball and of the English Blackball Pool Federation. 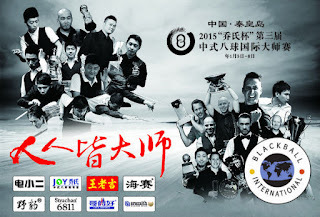 The EBPF is the governing body for blackball. As with all sections, further write-ups and news about blackball in England will continue to be added. Your contributions are welcome. The game of 8ball pool found its way to Scotland in the late 1960s. 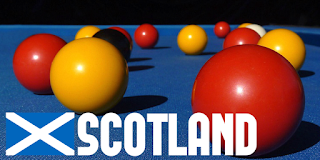 There is an overview of Scottish blackball pool on this web site. That overview includes results from a 2014 survey which provides an insightful analysis of Scotland's pool leagues. The governing body in Scotland is the Scottish Pool Association (SPA) about which there are news articles, surveys and views. The Northern Ireland Pool Association (NIPA) has, under one name or another, been serving the 8ball and blackball pool players of Northern Ireland for more than thirty years. NIPA runs numerous pool competitions. 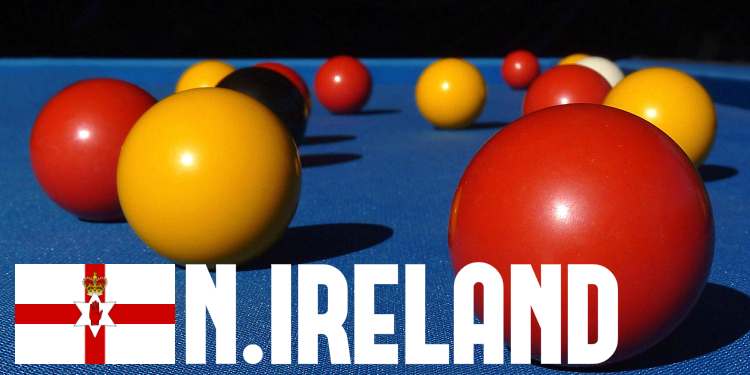 Those events and more about blackball pool in Northern Ireland is presented on this site. NIPA has an admirable record in providing opportunities for disabled pool players. 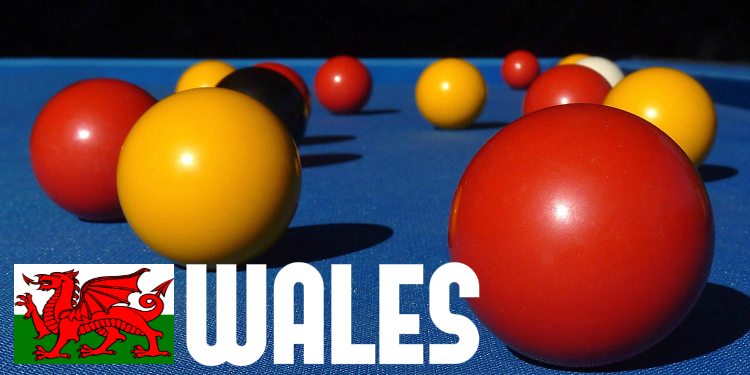 It has not yet proved possible to put together any informative content about the cue sport of 8ball pool in Wales. That would ideally include a little about the history of blackball pool and an overview of the Welsh Pool Association, the governing body. If you are able to help prepare a write-up do please email ukpool@gmail.com with contact details. Much appreciated. 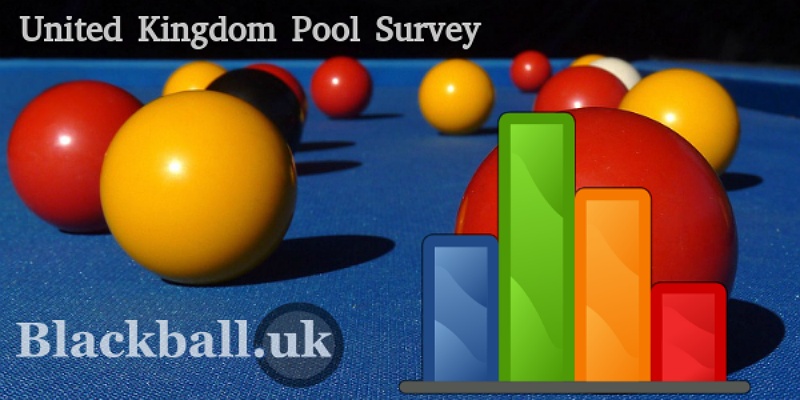 From time to time blackball pool surveys are published. For example there's a questionnaire asking player's views on how the Scottish Pool Association is organised and run. Google forms are used to create these free surveys. They can be open to all or restricted. 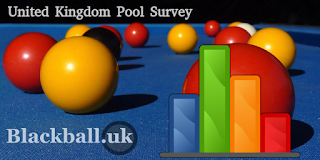 We may be able to help you set up and can host a survey for your UK pool league or blackball organisation. Just ask. Succinct commentary including photographs and blackball pool related images. When visiting that page simply click any image to view them all in a larger size, then make further selections from the index of all images at the foot of the display screen. The Queen, UK politicians, dishers, fudgers, muppets and a bad tempered aubergine all get a mention in this section of the site. So as far as is practicable those colours will appear within blackball surveys pages or results analyses such as those for the EBA Nations Cup. The remaining menu heading is entitled 'Articles'. There's information about Chinese Eightball, World Championships Statistics, European Championships, Olympics Blackball, Horrible Histories.... and much more. The intention is that designated contributors will in the future be able add their own content directly to the articles section. This is one of several useful features possible with Google Blogger. There are limitations regarding the appearance and structure of Blogger sites but the emphasis is upon providing visitors with informative content about blackball pool in the United Kingdom. Another advantage of blogger is that it does provide some helpful widgets and add-ons. Also, given the website is hosted by Google, there are unlikely to be concerns regarding accessibility or online security. Blackball Visual Guide Comprehensive and colourful exposition of rules, general play and a variety of shots. 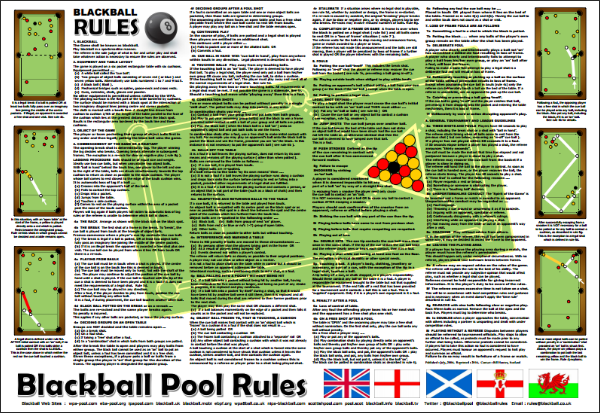 Blackball Rules Posters Size 'A3' blackball rule sheets have been printed on sturdy 350gsm card with silk finish. English Blackball Overview Summary of the English Blackball Pool Federation's recent history and structure. 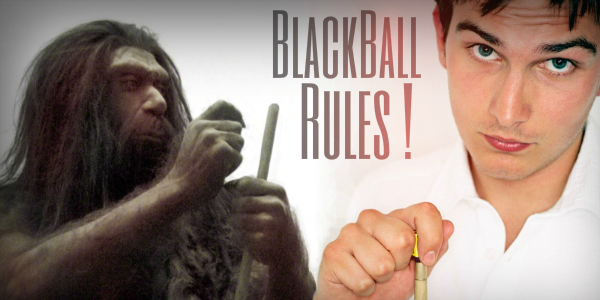 The Unification Of Pool Blackball has modernised the 'small-table' pool game and taken it out of the stone age. 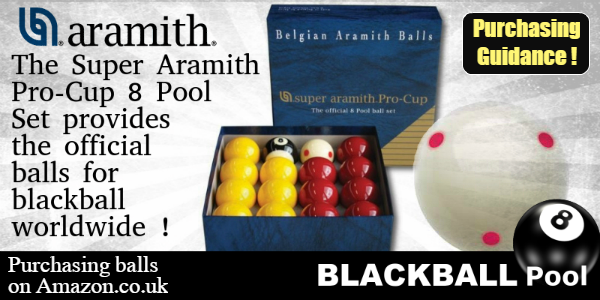 Purchasing Pool Balls Guidance to purchasing Aramith balls sets and single balls from Amazon for blackball pool. 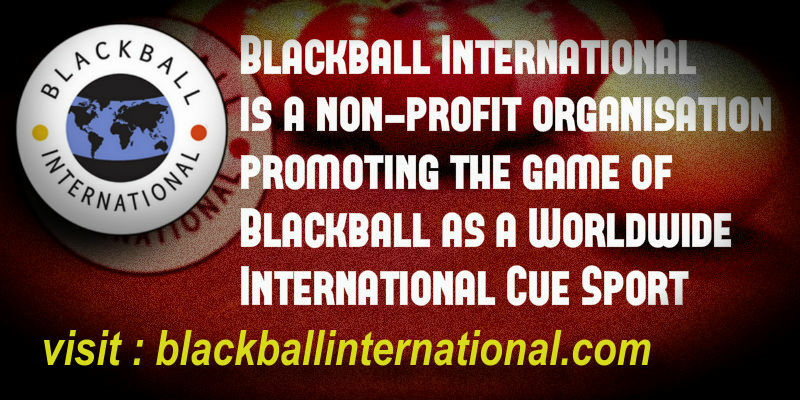 Blackball International A non-profit organisation promoting the cue sport of blackball pool worldwide. 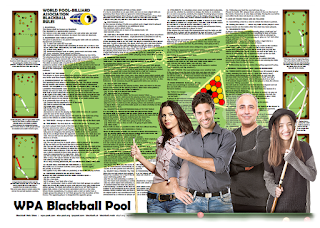 Blackball Rules File Select above image for a detailed guide to blackball rules for viewing online or download.